LEARN TO PLAY PIPES OR DRUMS! Welcome to the Conservatory of Performing Arts Pipe Band. 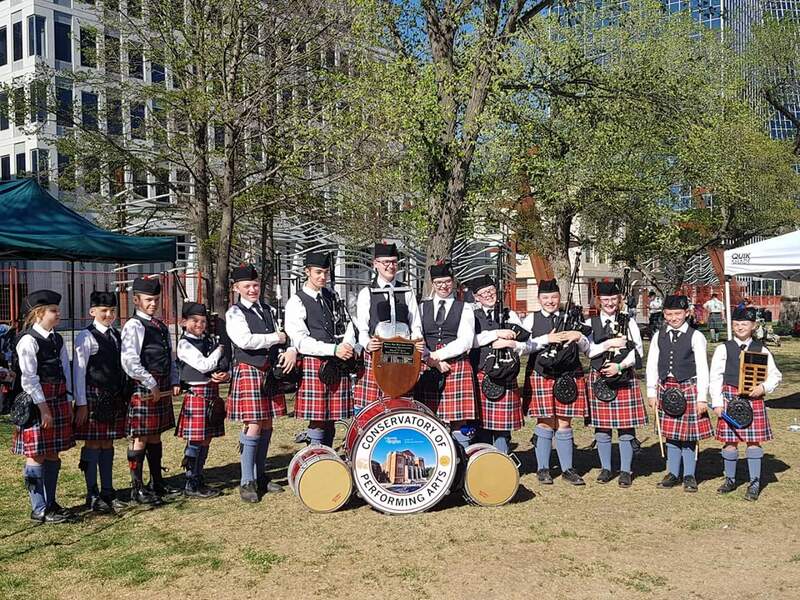 We are a youth-oriented music group that performs in the community, competes at Highland Games, and offers exceptional instruction for children and youth for learning bagpipes and drums. The program is part of the University of Regina's Conservatory of Performing Arts, and we also offer certification through The National Piping Centre in Glasgow, Scotland. If you want to learn bagpipes or drums in the Regina area, this isthe place! We also have beginner classes for adults--follow the links for more information. New students are welcome throughout the year, and we encourage you to come down and visit to see if it could be for you! Copyright Conservatory Pipe Band, 2011, 2012, 2013, 2014.